At the bottom of the sea, just off the coast of Maryland, New York City subway cars have become a new habitat for coral and fish. Poet Shira Erlichman was spellbound when she read about the project: to dispose of old, broken-down subway cars by sinking them to the bottom of the ocean, providing a new surface for coral reef to grow. Photos documenting the process seem to show pollution on a large scale, the result of industrial excess. But eventually they will help the ecosystem survive. For Erlichman, the project was a way to discuss taking Lithium for mental illness. “I’ve been told a million reasons why I should not take medication. All of that stigma is very real,” she said. People who have mental illness challenge society’s typical narrative about what is “natural” or healthy, she said. Erlichman is currently working on a book of odes to Lithium. The poems complicate preconceptions around medication by discussing the full spectrum of her relationship with it, she said. You can read one of Erlichman’s poems, or hear her read it, below. Over time, every surface will be covered in life, creating an artificial coral reef. to rust at my sea floor. let you llllllllllsink to the bottom. “It’s not personal,” I tell myself. 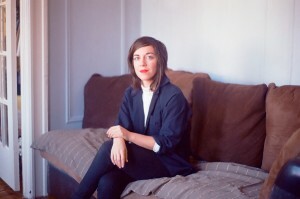 Shira Erlichman is a writer, musician, & visual artist. 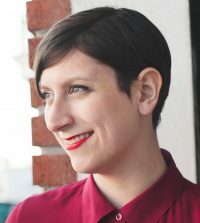 A three-time Pushcart Prize nominee, her work has been featured in BuzzFeed Reader, The Offing, BUST Magazine, The Massachusetts Review, & Winter Tangerine Review, among others. She was awarded the Millay Colony Residency & a James Merrill Fellowship from the Vermont Studio Center. As a musician she’s shared stages with TuNe-YaRdS, Mirah, & CocoRosie. Her album “Subtle Creature” will be released in August 2016. She resides in Brooklyn.